A HPL (high pressured laminate) plate is bent for 90° around two parallel axis. 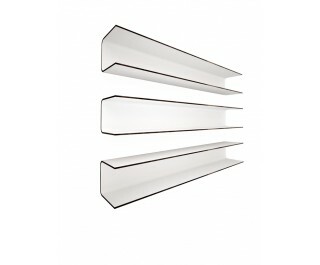 Horizontal surfaces serve as shelves, while vertical one provides the connection to the wall. Achieved C profi le statically enables large spans. Standard colour white, inside black.